Michelangelo Antonioni invented a new film grammar with this masterwork. An iconic piece of challenging 1960s cinema and a gripping narrative in its own right, 'L’avventura' concerns the enigmatic disappearance of a young woman during a yachting trip off the coast of Sicily, and the search taken up by her disaffected lover (Gabriele Ferzetti) and best friend (Monica Vitti, in her breakout role). Antonioni’s controversial international sensation is a gorgeously shot tale of modern ennui and spiritual isolation. Throughout film history, there have been several notable stepping stones in the evolution of cinematic form. Specific movies that have fundamentally advanced the way directors use images in relation to composition, movement, editing, and narrative, effectively redefining the very rules of filmic structure and storytelling. 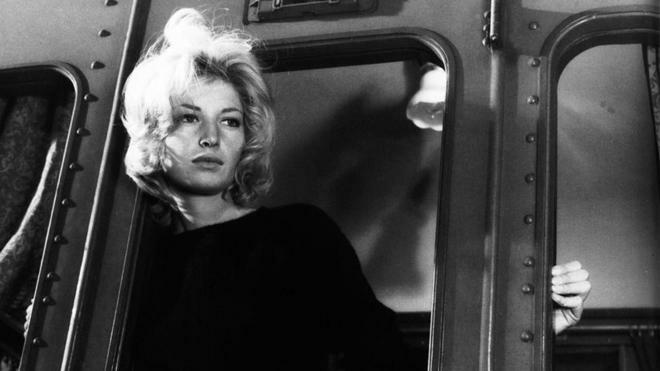 Delicately layered in a quiet, lonely passion marked by introspective visuals, Michelangelo Antonioni's highly influential 1960 masterpiece, 'L'avventura,' is such a milestone. Hauntingly detached yet achingly sensual, the film's striking style and ambiguous plotting remain wholly unique and irrevocably unknowable -- helping to sculpt the very shape of modernism on screen. The script follows a group of wealthy Italian friends who embark on a boating trip in the Mediterranean. After stopping at a rocky, volcanic island, the travelers increasingly grow concerned when a member of their party, Anna (Lea Massari), disappears without a trace. Worried that their companion might have inexplicably fled or fallen into the sea, the group dutifully surveys the craggy terrain. But as the inconclusive search extends back to the mainland, the missing woman's lover, Sandro (Gabriele Ferzetti), and best friend, Claudia (Monica Vitti), gradually find themselves drawn to one another. Torn between their allegiance to Anna and their own illicit affair, the pair struggles to find the lost woman while passions continue to ignite. 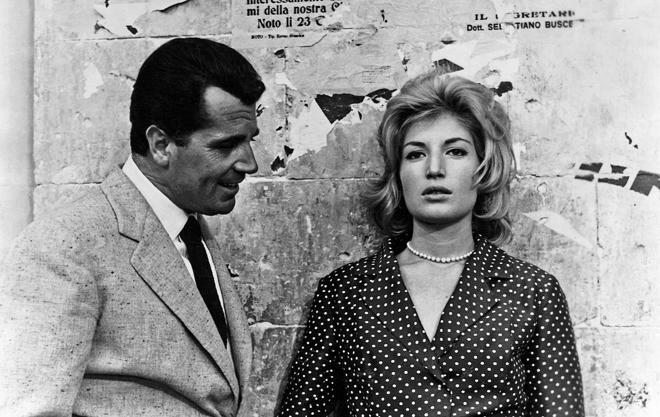 On the surface, the film's plot outline sounds like the ideal recipe for a conventional melodramatic mystery -- but Antonioni's approach to the material in both form and storytelling takes us in a radically different direction. Subverting traditional concepts of narrative and drama, the movie becomes a mystery film that is, for all intents and purposes, wholly disinterested in its central mystery. The first act perfectly sets up Anna's disappearance, but in reality this development is almost immaterial to the film's deeper goals. As the runtime progresses, it becomes clear that we will never know what happened to the missing woman. Likewise, it becomes clear that we no longer care. Instead, the focus organically shifts to Claudia, and through her journey, the movie's true intentions slowly reveal themselves, tackling a completely different kind of mystery; one of the internal variety. Deeply entrenched in the alienating malaise of modernity, Antonioni uses his protagonists to observe complicated ideas related to spiritual isolation. As Claudia and Sandro's relationship develops, the story becomes a mournful examination of empty romance and misplaced humanity. Through Monica Vitti's layered performance, we bear witness to a woman held aloft by fleeting sparks of genuine life and dwindling hopes for personal fulfillment. But these aspirations are potentially threatened by her relationship with Sandro -- a detached facsimile of a womanizing man only capable of passing emotion. He plays the part of a lover, but one is left wondering if such a connection is even possible for him. And yet, as far compromised and distressingly numb as Antonioni's characters can be, they still possess beating hearts. As the director describes in the included supplements, these are not people fully bereft of feeling, but rather people who have gone astray in their sentiments. And it's this distinction that renders their journey so palpably tragic. With that said, it is not through traditional plot or words that the director ultimately evokes these pangs of isolation and internal distress. In fact, most of the film's dialogue and events are fairly inconsequential. Rather than wholly rely on customary dramatic beats or conversations, Antonioni's approach uses cinematic form and images to create meaning, emotion, and thematic depth. The visual style itself essentially becomes the content, establishing a striking air of loss and alienation through pensive compositions and a hypnotic elongation of time. Breaking away from the standard syntax of filmmaking, the director layers the runtime with long, lingering takes, key series of cuts, and deliberate blocking. Characters are frequently framed facing away from each other or somehow otherwise separated in single shots -- keeping the protagonists simultaneously together but also distinctly part, giving form to their unshakeable internal separation. Natural locations and man-made architecture are also used to enhance the mood on screen, often dwarfing Claudia and Sandro among flat buildings and deserted locals. Many scenes even eschew any attempt at traditional narrative propulsion, and instead simply force us to loiter on characters wandering or in the midst of seemingly inconsequential actions, revealing deeper emotions through the tempo of the images and wordless tone of the actors' performances. Under Antonioni's direction, pacing becomes a form of poetry, infusing the temporal space between shots and movements with a rare sense of importance, gluing scenes together through delicate montage, reframing angles, and subtle sound design. And while meaning is always implied, each image and connected plot development carries a startling level of ambiguity. A cinematic mystery with no answers, 'L'avventura' skillfully defies classic concepts of narrative and visual style, creating a motion picture experience steeped in artistic depth and a singular vision. Using images as his primary storytelling tool, Antonioni evolves the very structure of visual expression, eradicating the line between form and content by actually engendering substance through style. As his characters come to a bittersweet epiphany of "reciprocal pity," the director ushers in a new era of modernist filmmaking -- one that he would go on to progress in his subsequent meditations on apathy and alienation ('La Notte,' 'L'eclisse'). Yet, as powerful as those later efforts are, his first masterwork continues to stand alone, jutting from the earth with delicate but primal beauty -- like a rocky island isolated in the sea. 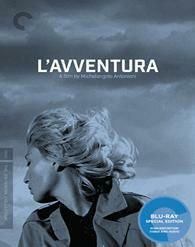 Criterion presents 'L'avventura' in their standard clear case with spine number 98. The BD-50 Region A disc comes packaged with a booklet featuring an essay by film critic Geoffrey Nowell-Smith, statements by the director after the film's Cannes premiere, and an open letter distributed at the festival. Taken from a new 4K digital restoration, the movie is provided with a black and white 1080p/AVC MPEG-4 transfer in the 1.85:1 aspect ratio. Beautifully preserved and impeccably shot, this is an absolutely gorgeous image. The print is in fantastic and nearly pristine shape with only very minor signs of age visible sporadically. Overall clarity is strong, offering a sharp picture that highlights the movie's striking photography and layered compositions with impressive fine detail and texture. With that said, there are a few shots here and there that have a comparatively soft and flat quality. The greyscale is nicely rendered with even whites, deep blacks, and strong shadow delineation without crushing or blooming. Thankfully, I detected no digital artifacts or signs of unnecessary processing. Respectfully restored, 'L'avventura' arrives on Blu-ray with a striking 1080p transfer, offering a nearly immaculate HD picture. The audio is presented in an Italian LPCM mono track with optional English subtitles. Despite its age, this is a clear and delicately moody mix, perfectly enhancing the director's distinct style. Speech is clean but a little flat throughout with no major technical issues. The single channel of audio features a subtle but very effective air of ambiance, using minimalist but potent design to further evoke the film's alienated atmosphere. To this end, sparse music and isolated sounds like rain, wind, and breaking waves carry great impact. There are no major instances of pops, crackle, or background hissing. Deceptively simple and thoughtfully composed, this is a strong mono track that effortlessly complements the film's images. Criterion has put together a great collection of supplements, including a commentary and documentary. All of the special features are presented in upscaled 1080i with Dolby Digital 1.0 audio and English subtitles for the foreign language portions. Audio Commentary with Gene Youngblood - Recorded in 1989, the film critic offers a comprehensive track that traces the film's production history and unique cinematic language. Youngblood also provides visual/narrative analysis, background information about the director, and details about the film's mixed initial reception and subsequent lasting impact. Antonioni: Documents and Testimonials (HD, 58 min) – This is a 1966 documentary about the director that features interviews with Antonioni's colleagues and collaborators, and footage of the filmmaker in action on set. The doc traces the man's early life and cinematic style, along with a rundown of his filmography up until that point. We're also treated to a brief deleted scene from 'L'avventura.' Filled with interesting insights into the director's process, this is a very worthy inclusion. Olivier Assayas on L'avventura (HD, 27 min) – Here we get a three part analysis of the movie by Olivier Assayas, director of 'Summer Hours.' Assayas discusses the movie's lasting impact, influence on the evolution of cinema, and break from traditional plotting, along with selected scene analysis and his own thoughts on the film's ending. Trailer (HD, 2 min) – The movie's trailer is included in 1080p with Dolby Digital 1.0 audio. 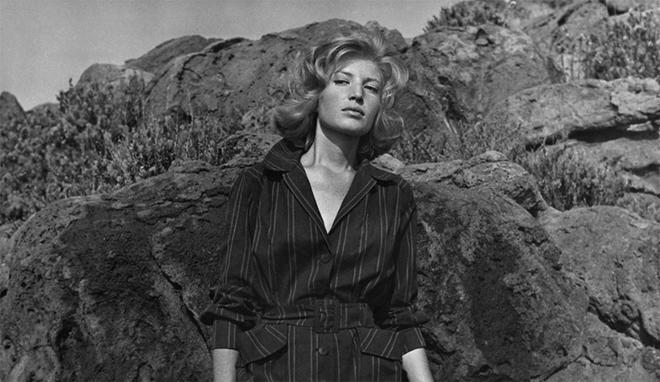 Michelangelo Antonioni's 'L'avventura' is a singular masterpiece of modernist filmmaking. By evolving the visual language of cinema, the director effectively subverts traditional concepts of drama and storytelling, resulting in a palpably ambiguous study of isolation and wandering emotion. This Blu-ray features a gorgeous video transfer and a very strong audio mix. Criterion has also provided a healthy assortment of worthwhile supplements, offering great insights into Antonioni's process. This is one of the defining milestones of art house cinema, and thankfully this disc presents the movie with all of the lofty respect it deserves. Highly recommended.